One of the best things the Nintendo Switch has going for it is the insane combination of portability and power, yet Nintendo has, in the past, taken the Apple approach of having very specific chargers for no real reason. Console accessories designer Nyko has stepped up to the plate with the Nintendo Switch with a type c charger for the switch, as well as a new thin case. The charger can, as expected, plug into any wall outlet, and can charge the switch without need for the plastic setting case that comes with the console. It works as a stand for the console as well, with a slot for the Joy-Cons, for an even more portable option for an already very portable machine. 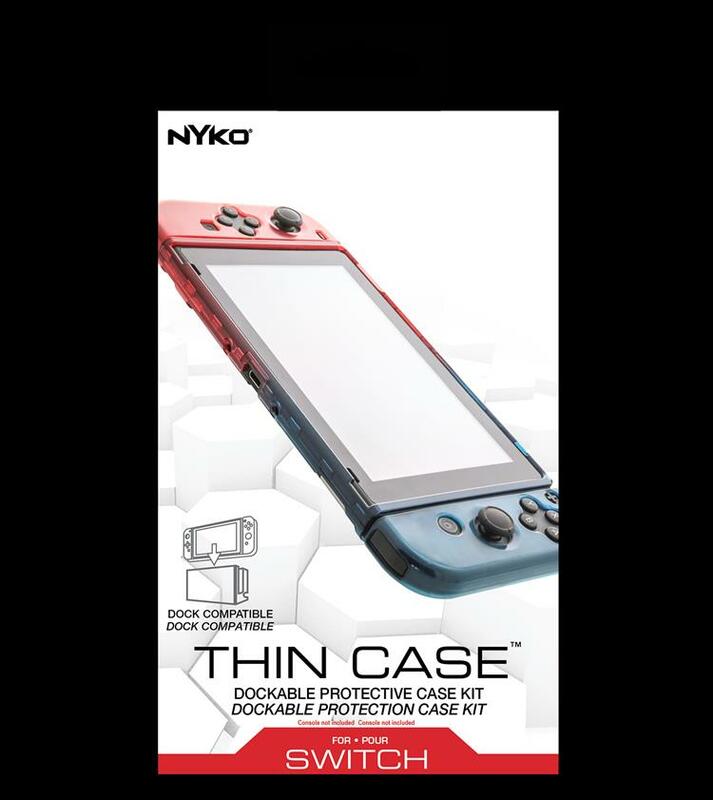 They have also released a new, very thin case for the Switch. The case covers the console as well as the Joy-Cons and, interestingly, allows you to remove the controllers from the console and use them without having to remove the case. Notably, the two cannot be used together, but they are some of the first steps towards what will likely be a mighty sea of accessories for Nintendo's new platform. After all, accessories are second only to Mario. You can view them on Nyko's website here.